Among the most common trends in the housing market over the past few years were rapidly rising prices and ever-tightening inventories of homes for sale. However, slowly but surely, both issues - which helped keep sales figures at low levels for some time - have begun to abate. Home prices are still on the rise, of course, but not nearly at the same kind of annual pace seen even a year or two ago. Meanwhile, homes are still in relatively short supply, but more owners are listing their properties, and construction efforts in many parts of the country are building a steady supply to more ably meet buyer demand. Through the end of February, though, home sales were still dropping on a year-over-year basis, marking the seventh straight month of such declines, according to the latest National Housing Report from RE/MAX. However, the drop in sales from Feb. 2018 to the same month this year was the smallest seen since August, at just 4.2 percent. "The inventory of homes for sale ticked up for the fifth straight month." This came at the same time as the national inventory of homes for sale ticked up for the fifth straight month on an annual basis, rising 5.8 percent, the report said. That increase, however, did not prevent another massive value jump over the same period; the median closing price for home sales in February came to $240,000, the highest level in any February in the last 10 years and up 5.5 percent year over year, and also up from the 4.6 percent annual increase seen in January. However, because of the increased supply, the typical number of days a listed home spent on the market in February hit 63, up from 62 in the same month last year and 59 in January, the data showed. At the same time, the Economic and Strategic Research Group for the government-sponsored mortgage giant Fannie Mae's recently released it's latest Housing Outlook, which projected that home sales figures will level out over the course of the year instead of continuing to decline. This is likely due to the fact that the economy - and the labor market in particular - are in good shape and have been for a while, and that more households seem to be forming as millennials age. In addition, mortgage rates have come down in a significant enough way to offset home price increases somewhat, creating stronger affordability perceptions than have been seen in some time. "Purchase originations are likely to grow throughout 2019." As a consequence of these changes, Fannie's ESR Group notes that purchase originations are likely to grow over the remainder of 2019, while refinances take a step back. Fannie Mae Chief Economist Doug Duncan noted that conditions in the market may not grow as strong as they could be, largely because the inventory is still quite low in comparison with historical norms, which could lead to a tougher-than-expected spring, even as gains are being made. Meanwhile, separate Fannie data - from its first-quarter Mortgage Lender Sentiment Survey - suggests that financial institutions are feeling slightly more optimistic about demand for mortgages, both purchases and refinances, the latter at least as long as rates stay in their current low range. Meanwhile, lenders say they plan to continue easing credit standards for both standard mortgages and those eligible to be backed by Fannie and Freddie Mac, the nation's other major GSE. "Lenders' improved demand outlook going into the spring selling season bodes well for our forecast of relatively flat mortgage volume this year following the double-digit drop in 2018," Duncan said. Through the end of February, there were about 273,500 existing homes listed for the first time, making up a little more than a third of all homes for sale, according to the latest data from Redfin. New listings were up 0.3 percent from January but down 4.8 percent year over year. At the same time, though, the nearly 761,000 properties listed nationwide were unchanged on a monthly basis, but up 2.9 percent year over year. Meanwhile, price growth hit the lowest level seen since 2012 and shows no signs of stopping that trend, first observed around this time last year. And as with the RE/MAX data, it seems the number of days homes spend on the market is ticking up slowly but surely thanks to the growing supply, while the number of properties selling above their list price slipped 3.7 percent annually, to a little more than 1 in 6, the data showed. Redfin chief economist Daryl Fairweather noted that this is likely an indicator that buyers don't feel as much pressure to get a deal done as quickly as possible as they once did, especially as rates continue to flatten. "37% 'strongly believe' now is a good time to buy." All these conditions certainly seem to hint at the findings of a recent poll from the National Association of Realtors. The organization's quarterly Housing Opportunities and Market Experience survey found that 37 percent of respondents "strongly believe" now is a good time to buy, though that number was 38 percent in the same survey last year. However, the number of people who think it's not a good time to buy shrank to 35 percent, falling two percentage points on an annual basis. In addition, 61 percent of people said they've seen home prices in their local markets rise in the last 12 months, down from 63 percent just three months earlier. Another 31 percent told the NAR that prices had not changed during that time, and 43 percent felt that trend would continue for the near future. On the other hand, 47 percent believe prices will keep rising. The good news for the market, though, is that shopper sentiment seems to be improving rapidly. "First, inventory has been rising, so those buyers interested in making a purchase will not be limited in choices," said NAR chief economist Lawrence Yun. "Additionally, more stable home price trends are leading to more foot traffic at various open house gatherings." Among those who don't currently only a home, only 27 percent believed it would be "very difficult" to qualify for a mortgage, though another 28 percent felt it would be "somewhat difficult," the poll showed. However, the percent said they would have no difficulty at all in qualifying is up from just 19 percent a year ago. 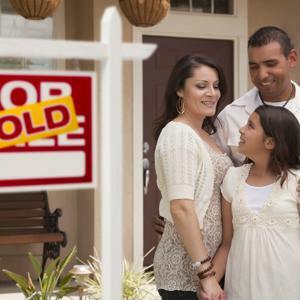 "Millennials account for 3 in every 5 first-time buyers." With millennials now making up the largest group of shoppers - accounting for 3 in every 5 first-time buyers in particular - the only real potential stumbling block to a robust spring is a lingering lack of available low-priced starter homes, according to Zillow's 2019 Best Markets for First-Time Buyers Analysis. The good news is that the inventory of such properties is up more than 4 percent on an annual basis, giving more budget shoppers the chance to get into the market. However, that doesn't come close to offsetting the 12.9 percent decline seen year over year in 2018, so there's still quite a ways to go before first-timers are truly able to buy with confidence. "The shortage of starter homes across the country is finally starting to ease, and that's good news for would-be first-time buyers who have been saving up to make the leap into homeownership," said Skylar Olsen, Zillow's director of economic research. "Unfortunately, prices of homes in the lower third of the market have risen so much in recent years that for many households' budgets they no longer qualify as affordable." The good news is that a number of major markets - such as the Tampa, Las Vegas, Phoenix, Atlanta and Orlando metro areas - still provide great deals in large quantities, but these kinds of deals are certainly not distributed evenly throughout the U.S., the report said. As with any home purchase, shoppers - even in today's more buyer-friendly market - would be wise to do all the necessary research and due diligence to determine the type of home they can afford and find suitable options that fit their basic needs. Working together closely with a real estate agent and lending professional will likely help any would-be buyer find the best possible situation for themselves.